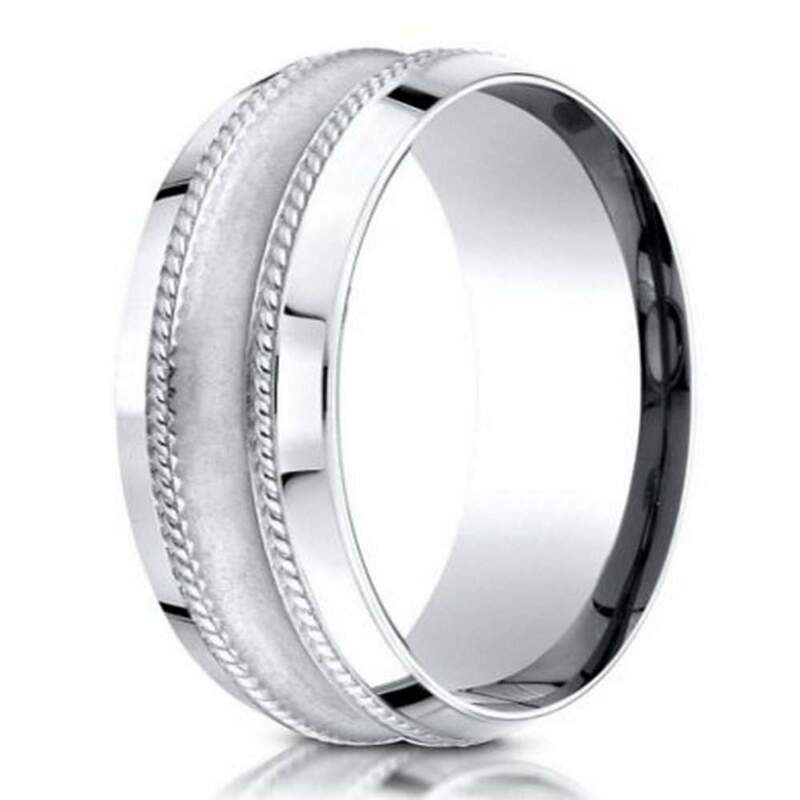 Boasting a powerfully masculine look, this designer platinum wedding ring for men is made of superior 95% pure platinum. An opaque center cut glass finish is bordered by two intricate rope details and polished beveled edges. This 7.5mm comfort fit band marries ease of wear with the unequaled quality of 950 platinum. Comfort fit rings usually measure 1/2 size smaller due to the additional metal inside the ring. We recommend having your finger measured for a comfort fit ring at your local jewelry store.